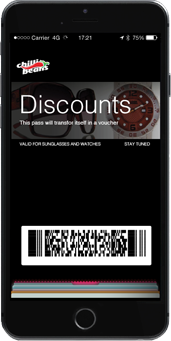 and management of mobile passes, such as digital coupons that you can distribute directly to your customers’ smartphones. It truly handles the full consumer life cycle. 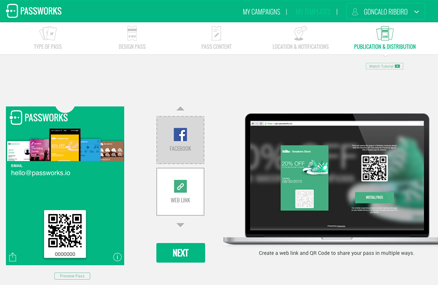 Create and manage your digital coupons with ease. 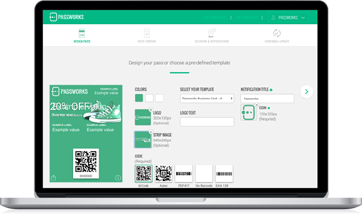 You can build customized passes (with company logos, images, colors and text) that will automatically work across both main mobile wallets (Apple Wallet, formerly Passbook, and Android Pay). 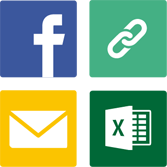 Reach prospects that do not have your app installed through mobile passes in mobile wallets native Apps. 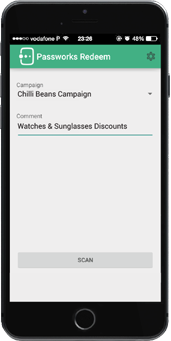 Build marketing campaigns and programs that "live" inside your customers’ smartphone. 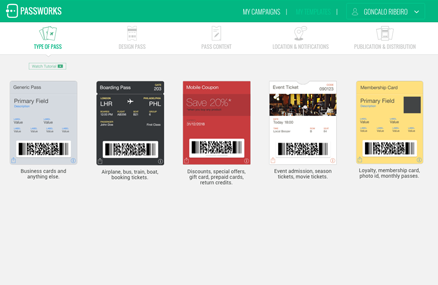 Once these digital passes are added into Apple Wallet (formerly Passbook) or Android Pay (pre-installed native Apps), you open a new communication channel. With Passworks "what you see is what you get". 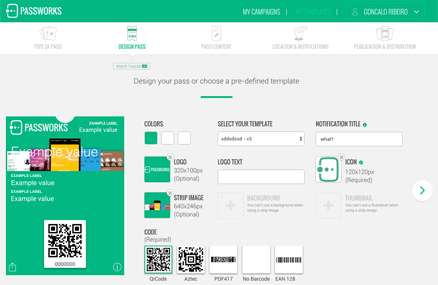 It is really easy to design a pass as you go. 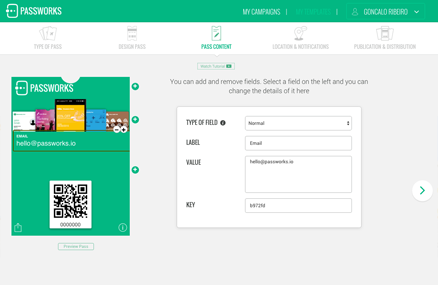 Once you have created your mobile content on the platform, Passworks generate a download link. 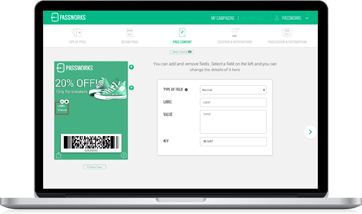 Easily send the mobile coupons to customers by leveraging existing channels, such as email, social networks, mobile banners, apps, print material, CSV file or SMS. 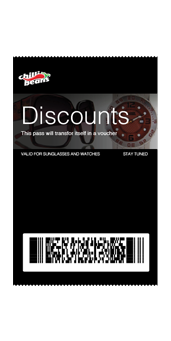 Send the link of your mobile pass to your customers or place a QRcode to get passes downloaded. Open a new communication channel and start on-going conversations with your customers, allowing to renew, update, and change the content to keep the mobile passes always up-to-date in real time. Engage with your mobile audience in a convenient and relevant way. 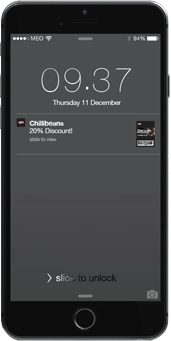 Send messages, offers, reminders and updates directly to your customer's smartphone, giving you the ability to perfectly time and amplify your offers when it counts. 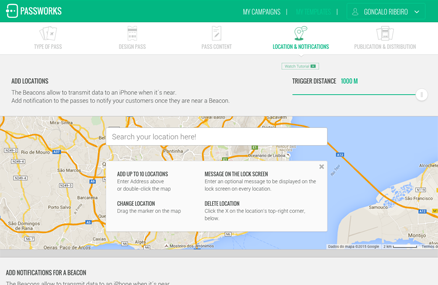 With Passworks, take advantage of the location-based technology for even better engagement by sending geo-based notifications directly to your customers, when passing by your store or a specific location. Deliver timely information when it is most contextually relevant to the customer. 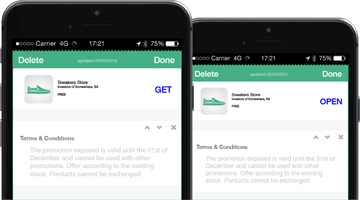 Associate and manage your existing Beacons with mobile coupons in order to trigger in store micro-location notifications. Take the opportunity to truly have an additional channel to promote your app with the ability to download it directly from the digital pass. 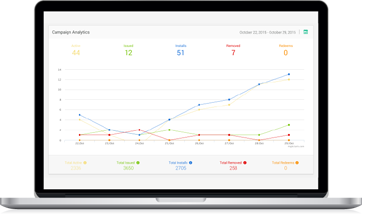 Real time analytics to easily learn about install rates, usage and what works through our analytics dashboard to analyse your campaign performance. 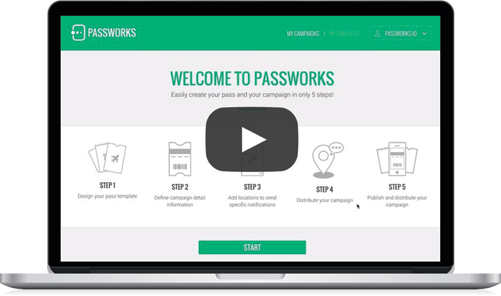 With Passworks, the infrastructure cost and barriers of entry to create a mobile marketing programs for loyalty cards, store cards, membership cards, tickets, are significantly reduced. See the video tutorial to know how easy it is to create your mobile wallet content.